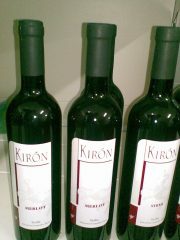 Kirón (SYRAH): magnificent red with intense purple note, aroma of black pepper and cloves, full-bodied and harmonious. Ideal with red meat dishes and cheeses. From servirea 18-20 ° C.
Sicily - typical geographical indication. 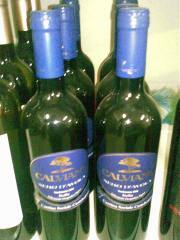 Calviano (BLACK D'AVOLA): the nero d'avola is the prince of Sicilian red grapes from the great quality, was the symbol of wine Sicily. 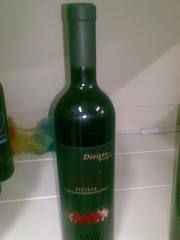 Its character offers scents of ripe fruit, intense color fresh vinolo. It goes well with red meats and roasted white meat. 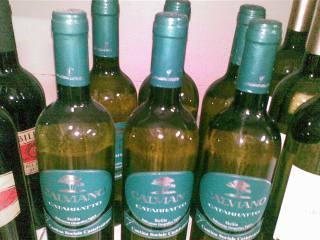 Calviano (CATARRATTO): one of white grapes oldest in Sicily and in particular in the province of Trapani. 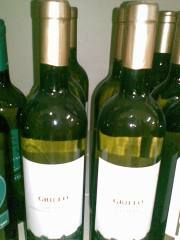 Wine very harmonious yellow straw with greenish, taste nice and delicate product typically Mediterranean. Serving temperature 12 ° C.
Grillo: obtained from the vineyards of a vine Sicilian high-class. The Grillo vinified alone is able to express strong personality and elegance and at the same time transmit scents and traditions Sicilian . Divigna ... invigna (BLACK D'AVOLA): climate, soil and passion that characterize the environment cultivation allow the nero d'avola, vine of great excellence to express in wines resulting , A structure and scents tpici of a land full of sun.